Chris Williams, founder of Plus Health is an experienced health and treatment advocate who is uncompromisingly passionate about supporting and empowering others living with HIV. 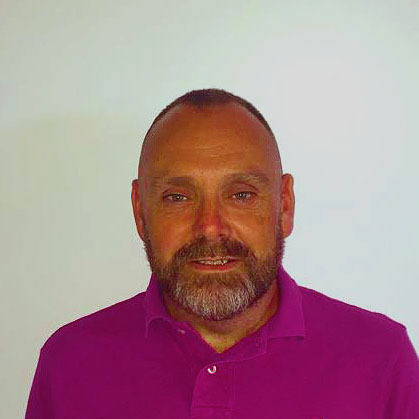 Chris has a wealth of experience of working with people on a one to one basis, which include personal fitness trainer, online health & treatment support worker, and as a group peer support facilitator. Since his own diagnosis in 2008 Chris has volunteered for several HIV Charities and remains a regular contributor to myHIV community forum which is the largest online peer support community within the UK. Plus health is a community start-up project, which as yet doesn’t receive any external funding or sponsorship and is currently being funded by our founder Chris Williams. Like many grass roots community projects and charities, Plus Health doesn’t have hold any assets and we don’t currently have a registered office as our founder runs our website and online peer support service from home. We are currently investigating the most suitable legal structure and constitution for Plus Health, and we will update this page further when this has been formulated. Unlike many other websites Plus Health is designed to provide an easily accessible online peer support service, and the content pages are arranged to mirror the individual journey we all experience from initial diagnosis. Our overarching aim is to take a practical approach to life with HIV, to improve knowledge and empower everyone living with HIV to enjoy healthy, long lived and fulfilling lives. Plus Health is supported by a small team of volunteers who give their time to design and develop our website, help with page content and editing. We hope to further develop our team in the coming months by recruiting more online peer support volunteers with the aim of increasing the capacity and reach of our online peer support service. As the sole online peer support volunteer, Chris attends monthly peer mentor supervision meetings at PositivelyUK. This enables him to anonymously discuss specific issues or concerns and to continually learn from others. This is standard practice and forms an important part of providing effective and safe peer support services. Chris is a community member of the British HIV Association (BHIVA), UK Advisory Board (UK-CAB) Treatment Advocate Network and PositivelyUK peer mentor network. Continuing Professional Development (CPD) is a big focus for Chris in his dual roles of founder and peer mentor. As a community member of BHIVA Chris is able to keep up to date by completing online learning modules developed by the BHIVA e-learning working group who prepare questions based on various BHIVA clinical guidelines. These questions are submitted to the Royal College of Physicians for accreditation and attract CPD points or units. CPD points or units refers to the process of tracking and documenting the skills, knowledge and experience gained both formally and informally beyond any initial training.